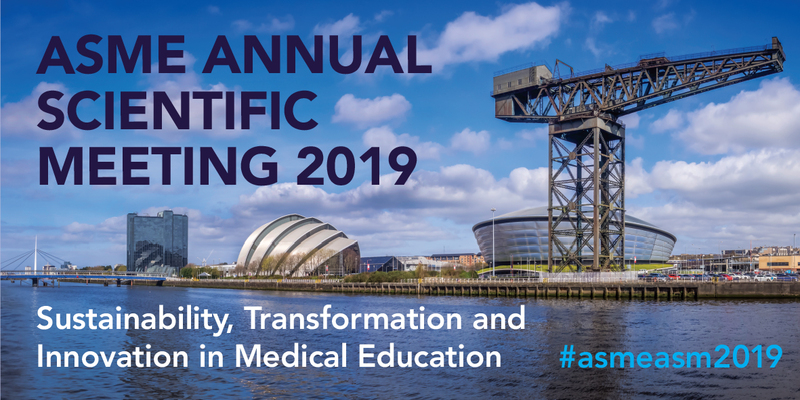 We look forward to welcoming you to the 2019 Annual Scientific Meeting next summer which will be held at the wonderful and iconic Scottish Events Campus (SEC) venue in Glasgow, UK on the banks of the River Clyde from Wednesday 3rd to Friday 5th July. 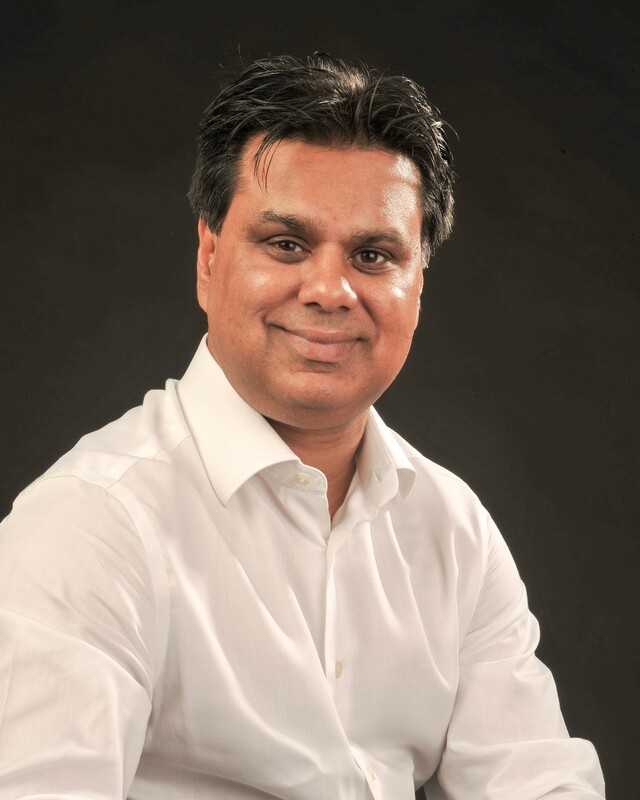 Professor Shafi Ahmed is a multi-award winning surgeon, teacher, futurist, innovator and entrepreneur. He is a 3x TEDx speaker and is faculty at Singularity University. He has delivered over 250 keynotes in 30 countries. His PhD thesis was on colorectal cancer genetics and he has been awarded 4 honorary PhD’s. He is a cancer surgeon at Barts and the London Medical School and has been awarded the accolade of the most watched surgeon in human history. As a dedicated trainer, educator, and Associate Dean of Bart’s Medical School, he was awarded the Silver Scalpel award in 2015 as the best national trainer in surgery by the Association of Surgeons in Training. He is currently serving as an elected member of council of the Royal College of Surgeons of England where he is the Director of the International Surgical Training Programme. He is an honorary visiting professor at The University of Bradford where he delivered the Cantor Lecture of Technology in 2017 and the public lecture to open the Digital Health Enterprise Zone. In 2017 he was the top British Asian star in Tech and received this award from HRH Duke of York. In 2018 he was awarded The Future NHS award by the Members of Parliament. His mission is to merge the world of medicine, global education, and virtual and augmented reality to democratize and scale surgical education to make it affordable and accessible to everyone using the power of connectivity to allow equitable surgical care. He cofounded Medical Realties who have just released the world’s first VR Interactive Surgical Training Module. He is a non-executive director of Medic Bleep, a communications platform for healthcare professionals, GPDQ an online medical platform. He is an advisor for governments and major blue chip companies working in Pharma, Digital Health, Artificial intelligence, Robotics and Blockchain. He recently disrupting the traditional medical school curriculum by launching the Barts X Medicine Programme which has embedded future technologies and entrepreneurship into the medical school. He also chairman and a co-founder of the Global Innovation and New Technologies conference in London and Chair of WEBIT Health, Bulgaria. He has recently been appointed as CEO of SAMD University Hospital in Bolivia, the first Digital hospital in South America. Olle ten Cate attended medical school at the University of Amsterdam, the Netherlands and has spent his professional life from 1980 serving medical education. In 1986 he completed a PhD dissertation on peer teaching in medical education. 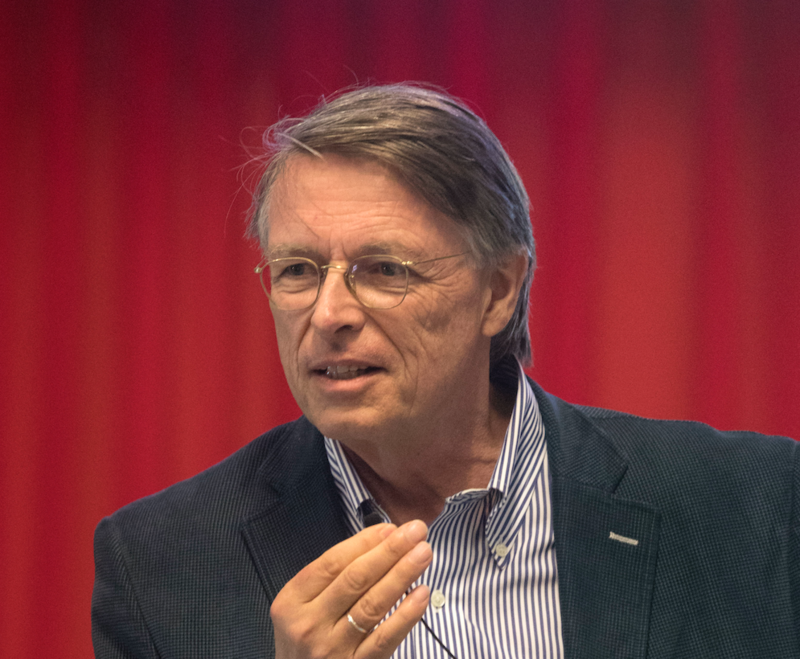 Until 1999 he was closely involved with all of the University of Amsterdam’s major preclinical and clinical curriculum reforms, education research, program evaluation and educational development. In 1999 he was appointed full professor of Medical Education at Utrecht University, the Netherlands, and program director of undergraduate medical education at University Medical Center Utrecht. From 2005 to 2017 he was founder and director of the Center for Research and Development of Education at UMCU. His research interests include curriculum development, peer teaching, competency-based medical education, and many other topics in health professions education. From 2006 until 2012 he served as president of the Netherlands Association for Medical Education (NVMO). In 2012 was appointed adjunct professor of medicine at the University of California, San Francisco, next to his work in Utrecht, to execute a collaborative doctoral program in health professions education. He has published extensively in the medical education literature (350+), supervises many doctoral students in health professions education research (30+ current and past) and received numerous international invitations to speak. He serves on the editorial boards of Medical Teacher and the Journal of Graduate Medical Education, and is a Fellow of the Association for Medical Education in Europe. 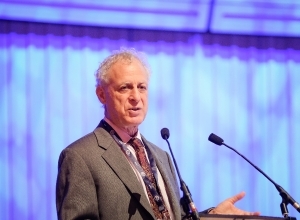 In 2017, he received the John P. Hubbard Award of the US National Board of Medical Examiners for his work related to assessment in medical education, the NVMO Han Moll Penning life-time award for services to health professions education development and research, and in 2018 the first biennial international Ian R. Hart Award for innovation in medical education. Professor Annie Cushing qualified at the London Hospital Dental School in the mid-1970’s and worked for almost 20 years as a dental clinician, researcher and teacher. In 1991, prior to publication of the first ‘Tomorrow’s Doctors’, she changed career and pioneered innovative spiral communication skills curricula for both the medical and dental schools at Barts and The London. BLSMD was the first medical school to introduce objective structured clinical examinations (OSCEs) in 1993 as part of MBBS qualifying examinations. Her career has focused on scholarly activity, strategic support at an Institutional level for curriculum evolution and staff development, the outcome of which was recognized as a major component of the successful CETL Award in 2005 from the Higher Education Funding Council for England (HEFCE) for clinical and communication skills healthcare education. She has been adviser to the GMC Professional Linguistics Assessment Board for assessment of International Medical Graduates since 1996, and recently served on the GMC Assessment Advisory Board. 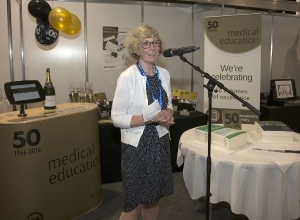 She was a founder member of the UK Medical Interview Teaching Association and was its Course Director and Co-Chair between 1998-2003, delivering residential courses in experiential training for senior doctors from across all specialities. 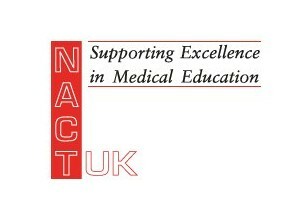 Between 2005-10 she chaired the UK Council on Clinical Communication in Undergraduate Medical Education, to promote good practice and develop national consensus on curriculum standards. In 2011, she led a project for the Medical Schools Council, UK Assessment Alliance to pilot an assessment for EU doctors’ communication skills. She has acted as adviser to the Royal College of Physicians (RCP) and National Clinical Assessment Service (NCAS) on education and assessment, and given presentations to education developers and advisers to ministers of health from the USA, Australia, Japan, Norway, Jordan, Georgia and Azerbaijan. 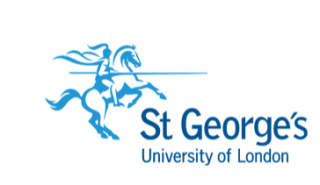 In recent years, she has evolved Patient Forums and Public Engagement interventions to bring the patient voice into communication education at Barts and The London. Dr Lindsey Pope graduated from Glasgow University medical school in 1997. She initially pursued a career in Emergency Medicine before ‘seeing the light’ and deciding to train as a GP. On completion of her GP training in 2004, she was seconded to the Scottish Government to work on Implementation of the New Deal for Junior Doctors. 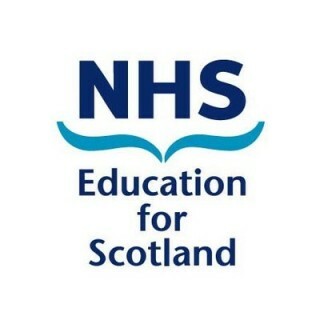 Following this, she was appointed as an Academic Fellow within NHS Education for Scotland, beginning her career in medical education. She became a GP Partner in 2006 based in Port Glasgow Health Centre and combined her clinical work with teaching Vocational Studies and Communication Skills for the medical school. Initially teaching undergraduates in her practice, she became a postgraduate GP trainer and Foundation Supervisor in 2009. 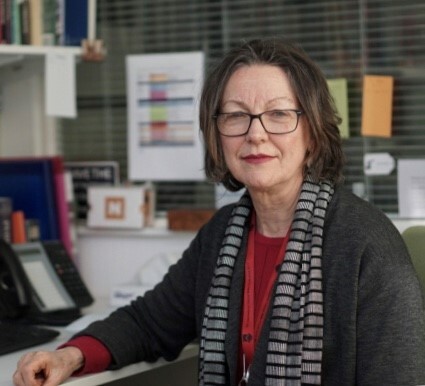 Her own experience as a clinical educator led to her undertaking her Doctorate in Health Professions Education utilising Activity Theory to study the continuum of medical education in a GP setting. She is the Head of GP teaching at the University of Glasgow medical school as well as the Director of Professionalism and Vocational Studies. She is an examiner for the Royal College of GPs and an Education Associate for the GMC. She is on the Executive of the SAPC UK GP Heads of Teaching Group and the UK Council of Teachers of Professionalism. She is a member of the joint Scottish Government/Board for Academic Medicine group ‘Increasing undergraduate education in primary care’. Her recent work has explored the tension between teaching and clinical service and she has a particular interest in the link between education and recruitment and retention of doctors within the health service. 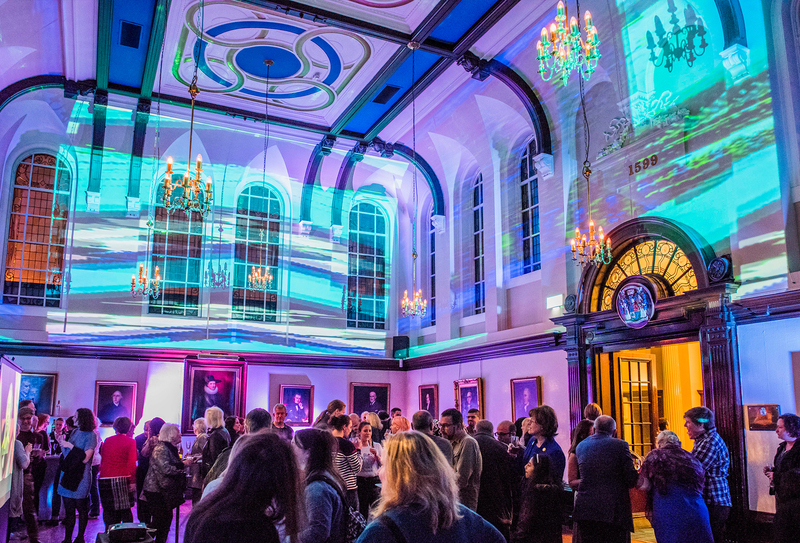 Following on from our successful inaugural pop up events at our ASM in 2018, we are developing this for 2019 and invite you to submit your event for inclusion in the 2019 ASM. Do you have ideas that you would like to share with others? Perhaps you are looking for research / teaching collaborators? 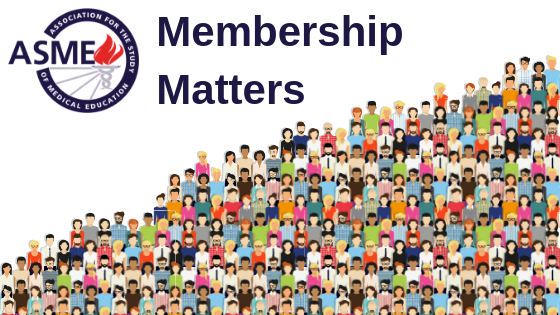 Would you like to develop a new ASME Special Interest Group? This could be ‘YOUR’ pop up event at the conference. 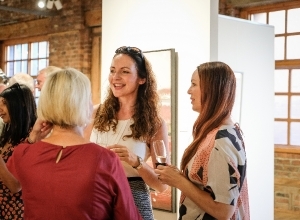 This networking opportunity puts you and the room together: you advertise for “guests” with whom you can showcase your ideas and share interests. Follow the instructions below to get your message out. 45 minute slots are available at the ASM on Wednesday and Thursday. 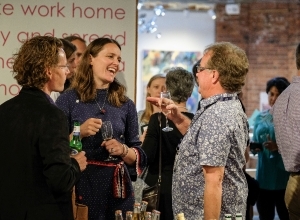 "The pop up event was a great opportunity to present and network with a large group of education stakeholders, and I was able to publish the findings from the session as a journal article. I think it was a great addition to the conference and would recommend applying to run similar sessions in future!" The deadline for Pop-Up Event Proposals has now passed. 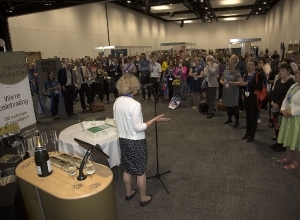 Presenting to a large audience at a national conference is challenging particularly for first timers – and we have all been there! Effective oral communication is a crucial skill for all health professionals, particularly those interested in research who need to explain their work to others. Often in the clinical environment when less experienced clinicians rehearse their presentation their supervisors concentrate on the content and message of the presentation and overlook the personal style and communications skills of the presenter. Very few people naturally possess outstanding presentation skills from the outset. Most presenters are anxious about their presentation skills and about handling any questions posed by the “expert” audience. However, practice and receiving specific feedback can improve performance. This workshop is aimed at those presenting this year at the ASME ASM who would like the opportunity to rehearse. It is expected that you will run through your presentation “in real time” and receive feedback from the panel and from the audience in true constructive educational style! We are here to help and support you so that you can develop additional confidence in the delivery of your work prior to the “real thing”. Are you thinking about starting a new research project, or have you ‘hit the buffers’ on an early existing research project? Looking for some help, a place to discuss issues or get inspiration? 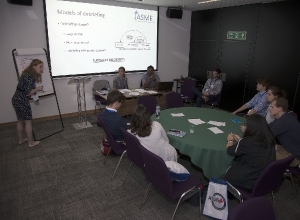 Experienced members of ASME’s Education Research Committee (ERC) are offering this interactive session to provide support for new ‘meded’ researchers, or those planning to try new directions or methods. You can bring specific questions or issues about your (intended) project to the session and discuss these with researchers and peers who have experience in different fields of educational research. As in previous years, JASME and TASME are joining resources to run our pathways workshop at the ASM 2018. The career pathway in medical education is often convoluted and without established frameworks or traditional positions at the end of it. Unlike a medical specialty, it is almost never a straight line and often a companion to training rather than the sole focus. For more junior attendees of the ASME ASM, whom the future of medical education rests upon, it can be confusing to navigate the various opportunities presented to them, and we hope to alleviate some of this through description of cases from those at different stages of involvement with medical education and take apart some of the difficult terminology surrounding it. Trainees have little exposure to this type of support in training programmes, so this workshop will act as a valuable forum to listen, discuss and form their own career action plans. 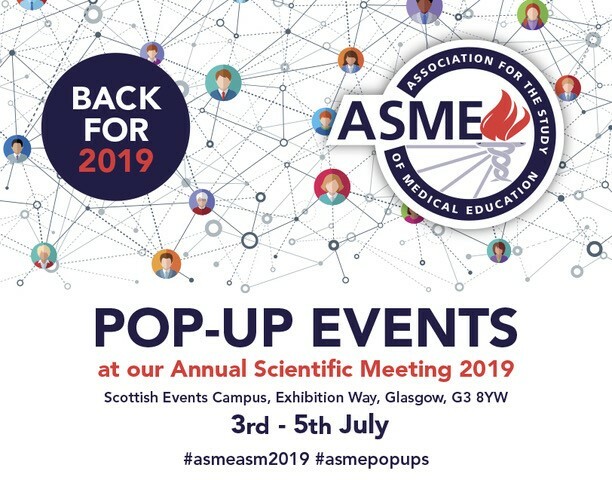 This will be a great opportunity to introduce and familiarise newer attendees to the structure of the ASM, ASME as an organisation, and also help further our networks and communications agenda. This workshop will be interactive and will largely focus on delegates reflecting on their own career goals – short and long-term. They will analyse a number of example PDPs and then begin to formulate their own, using SMART goals. The session will then go on to discuss the areas included in academic CV building, which will hopefully stimulate delegates to reflect on their own CVs and areas they could develop. Feedback is essential for learning. Roleplay is used to practice interactions, reflect on behaviours and identify their effect on outcomes. It offers the opportunity to reinforce effective actions and modify those that are counterproductive. Reflection ‘in action’ enables choices to be made about next steps. Reflection ‘on action’ assesses the process at the end of the interaction. Unless the learner has the opportunity to repeat and put the new learning into deliberate practice, learning is not consolidated (Kolb, Boud, Ericsson). All facilitators experience the challenge of when to stop a roleplay for reflection ‘in-action’ and feedback in order to support learners’ progress. They also report finding some students and situations a particular challenge and this workshop will look at some of these interesting examples. 2. Junior Association for the Study of Medical Education - What makes a successful pastoral care programme? The workshop will be aimed at the full spectrum of attendees at the ASM and will be an interactive, discussion-based session considering the question ‘What makes a successful pastoral support programme?’. The workshop will be run by committee members from the Junior Association for the Study of Medical Education, and will be aimed at individuals who are interested in creating and improving pastoral support systems within their institution – student or professor. The workshop will encourage attendees to reflect upon various current pastoral support programmes, the challenges and benefits each programme presents, and to design their own successful pastoral support programme. The aim is to inspire individuals to get involved in the practical development of pastoral support within their own organisation in order to support student and trainee well-being. This workshop offers a Positive Psychology inspired reflective practice that removes the need for words and allows the clinician the freedom to draw, representing a case as picture – a cartoon. Cartoons have been a method of communication from prehistoric times till present day and transcends cultural and geographical boundaries. This peer group reflection enforces a sense of community of practice. 5. University of Leeds - Future proofing clinical placements. How can we transform and develop innovative placements that are sustainable? Is the traditional model of the learning environment set to be challenged? Do these changes provide an opportunity to review the most effective way to deliver experiential learning opportunities? As we prepare for the digital future should we be embracing the rise of the simulated environment and could it replace at least part of the traditional clinical placement? The workshop will facilitate discussion of the challenges that different medical schools face in providing clinical placements to students of all years. 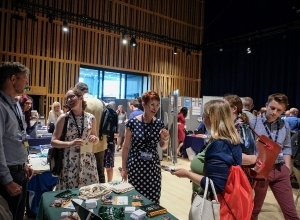 It will then explore specific examples from the University of Leeds and other medical schools, across primary, secondary and community care as well as examples of Third Sector initiatives. It will explore how current placements can be made more sustainable. For example, weekend and evening working with increasing seniority, increased use of non-medical staff especially in primary care and community, and peer teaching especially in lower years. Areas of placement transformation will be discussed including the introduction of new placements such as radiology and expanding non-traditional placements. Innovation in placement delivery will be discussed including use of other providers including private providers, personalised placements and the use of simulation. The workshop will involve 2-3 members of the RMG providing a justification for their chosen study methodology in a recent project. Workshop participants will work in groups to discuss the pros and cons and debate the applicability of these to their own studies. This will be facilitated by members of the RMG. This workshop will provide participants with a clearer understanding of how to teach medical students about wellbeing. 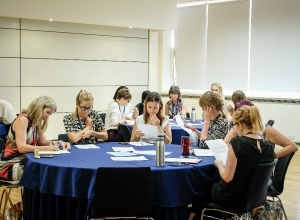 The workshop will include an overview of current wellbeing strategies present in the literature, a case study by the lead of teaching mindfulness to medical students, and consideration of several ‘lesson plans’ for how to teach these skills in this context. The workshop aims to trigger debate about what encompasses wellbeing, how to teach these complex skills to a specific student population, and consider what some of the challenges might be of doing so. It is also designed to be practical and to encourage participants to feel more confident to teach medical students about wellbeing more effectively. 8. Technology Enhanced Learning - Lights, Camera... Curriculum Mapping System Live and in Action! This will be an interactive workshop where participants will be guided on the process of curriculum mapping and work through their own examples in order to appreciate the challenges and benefits of mapping. Attendees should be familiar with the principles of outcomes-based curricula, learning outcomes, be familiar with their own programmes and have basic computing skills. During this practical workshop, the background and context to the recent growth in the development of professional standards throughout medicine, particularly within medical education, will be presented. The workshop will explore the views of delegates about what they consider to be the most important values and areas of professional activity undertaken by medical educators. It will also attempt to identify whether there have been any significant changes in the key values shared by all medical educators, and the areas of activity routinely undertaken by medical educators at all levels of seniority. Educational initiatives can at times be viewed as ‘interventions’ aimed ultimately at changing or improving practices. But how the ‘learning’ gained through education becomes implemented into practice is a complex and difficult area for study. This workshop will focus on a body of work from outside the discipline of medical education – which we hope will stimulate alternative ways of thinking and new ideas. The workshop will provide participants with an introduction to Normalization Process Theory (NPT) as a tool for thinking through implementation projects, with reference to broader approaches in Implementation Science. NPT is a theory for understanding the implementation, embedding and integration of new practices, that emphasises the collaborative nature of implementation ‘work’. Through group work, participants will apply and critique NPT based tools for designing, implementing and evaluating innovations in practice. The workshop will provide an opportunity to critique ideas from NPT through application to examples that can include case studies from participants’ own work. Writing for publication in health professions education is an important skill, essential in developing an evidence base of practice, for broad dissemination of findings and raising the quality of healthcare education. Peer-review is a defining component of scholarly practice and proof of writing success is often a requirement for promotion when applying for funding and providing evidence of professional impact. However, for both novice and experts alike, writing for publication can be a challenging experience as competition for publication is fierce and the standards in the field continue to rise. In this workshop journal editors share their experiences and knowledge of the field of publishing. They will aim to provide authors (or potential authors) with a better understanding of what makes a good paper, where the common pitfalls lie with respect to writing and submitting papers, and what goes on ‘behind the scenes’ of the publication process. The potential benefits of unravelling some of the mysteries of the submission and review process include an increased understanding of what it takes to publish in medical education journals specifically and the scientific literature more broadly. A proper use of entrustable professional activities in clinical training requires entrustment decisions based on assessment. Entrustment can be translated to a scale that incorporates levels of supervision. Several such entrustment-supervision (ES) scale have been proposed and used. This workshop will review these scales. A distinction will be made between retrospective and prospective ES-scales. Participants will be asked to apply both types of scales to imaginary trainees. This is a session of oral presentations for the TIE prize, which celebrates talent and ingenuity by those embarking on a career in medical education. Abstract submissions are assessed and selected on merit ahead of the conference, and judged on the day. The TIE prize offers a forum to recognise innovation and bolster sustainability in medical education through sharing those experiences. Our overarching aim is to promote and celebrate educational excellence. We would encourage attendance from anyone who is curious to see contemporary ideas and fresh faces in the world of medical education. This workshop is designed for early/ mid-career stage educationalists. It will explore career pathways in medical education highlighting opportunities and challenges along the way. In particular it will focus on sustainability - how to achieve this through (amongst other things) accessing and building support networks. Early pre-school education focuses on ‘messy play’ as a creative way to learn new skills and ideas. This sensory and hands on approach with its use of creative materials stimulates learning and sparks curiosity in the pre-school students. In medical education there are more limited opportunities for students to get their hands ‘messy’ in this way. Creative play (modelling, painting etc) not only acts as an alternative to more traditional teaching styles but can also encourage our students to be creative problem solvers when they embark upon their clinical work. At Gloucestershire Academy, University of Bristol, we have used a creative modelling element in our teaching through the use of modelling clay and ‘fake blood’ to create wounds and ulcers. Addition of creative play has increased both positive feedback from students and demonstrated improved performance in post teaching evaluation when compared to traditional teaching methods. 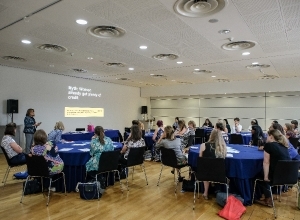 This interactive workshops aims to explore the use of creativity in medical education as well as presenting ideas on how to design and deliver an interactive and creative session. There will be an emphasis on participation and the sharing of ideas surrounding creative play in medical education. Participants will have the chance to get their hands ‘messy’ and design their own hands on creative teaching session during the workshop. Within medical education, teaching via the means of simulation has fast become engrained in our everyday practice (Paige and Morin, 2013). Fidelity is an important concept within simulation, being defined as “the degree to which a simulation replicates reality” (Alessi 2000). Working with this modality close up, we have come to realise that educators understanding of fidelity and its application can be very varied and misunderstood. This has inspired us to construct a workshop, to help participants not only better understand this concept and its multiple dimensions, but to ultimately support them in designing simulated sessions which allow them to consider and identify these varying dimensions within their teaching. We plan to achieve this by running an interactive workshop for participants. We aim to open the session by brain-storming people’s experiences and opinions of fidelity and its place within simulation. After which we will work to deepen participant’s knowledge by exploring the varying elements of fidelity and how theoretical frameworks can be utilised to help identify which dimensions of fidelity are focal in the design of simulation teaching. To achieve this we plan to create a fictional teaching session to be delivered via the means of simulation, but each group will be allocated a different learner group/level, for example, third year medical students, final year medical students, junior doctors or allied healthcare professionals. By applying their knowledge of fidelity, along with frameworks discussed earlier in the session, we hope the participants would identify the elements of fidelity which were important or relevant to the needs of their learners to produce a session for their cohort of students. Group’s ideas and plans will be shared and discussed before close to help explore the choices and designs employed. There is a need for effective support at all stages of training, and recent literature reports that exposure and engagement with effective support and development programmes at early stages of the training journey is more likely to result in trainees seeking help when they may need it. It is crucial then than those who support our trainees are aware of the current areas of best practice and resources available. 9. Postgraduate Taught Programmes - Collaboration in masters programmes: how do we do it and why is it important? The SEC (Scottish Event Campus) is conveniently situated for motorists, just off the M8 motorway and with plenty of parking. The SEC postcode for your satnav is G3 8YW. The multi-storey is operated by City Parking LLP. A map and directions are HERE. Onsite pay machines are on the ground floor, or level 2 (walkway level) of the car park. Payment can be made by cash or credit/debit card on arrival or before departure. Further information is available from the operator’s website. The multi-storey has a height restriction of 2m. Drivers with vehicles over 2m should report to the Gatehouse to the west of the campus (accessed via Stobcross Road) in the first instance and you will be directed to an available space. Please note that residential parking cannot be accommodated at the SEC. Delegates can purchase a ScotRail Conference Rover ticket for £5 for 5 days train travel within the Conference Zone. You can then travel between the SEC and the City Centre as many times as you like within this time. The Conference Rover also gives you up to 50% off train fares throughout Scotland, if you’d like to explore the rest of Scotland after the conference. 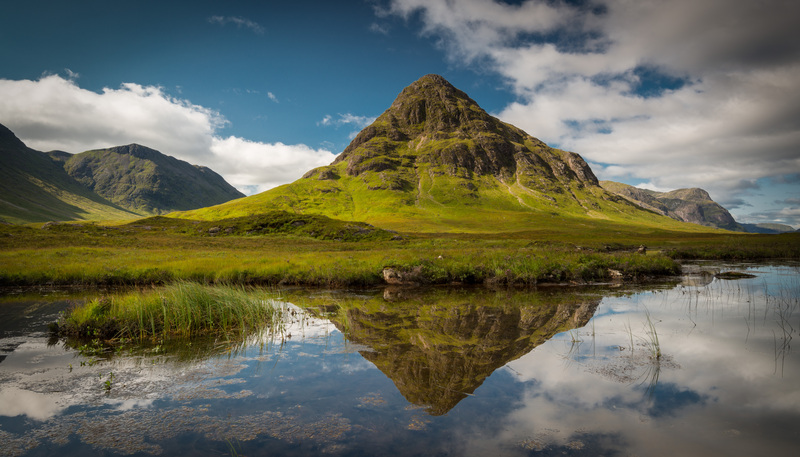 Visit Traveline Scotland for details. There is a Glasgow Taxis pick-up and drop-off point outside The SSE Hydro. There are several taxi ranks throughout the city including at Buchanan Bus Station, Queen Street and Central stations and most large hotels. The distinctive black cabs can accommodate five or six people. If their yellow light is on you can flag them down on the street. Alternatively, you can call +44 (0) 141 429 70 70 or visit the Glasgow Taxis website to book. 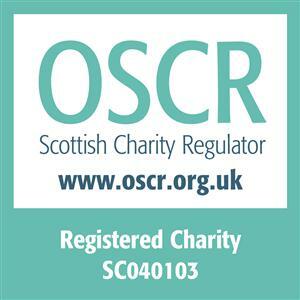 Our address for the online taxi booking form is SEC, Glasgow, G3 8YW. Glasgow Airport (GLA) serves most major international airlines. It’s located 8 miles (13km) west of the city. These are some of the most common connections. More information can be found at Scotland’s public transport information website Traveline Scotland. The 747 AirLink service operates via Renfrew, Braehead, Partick, Kelvingrove Art Gallery, Charing Cross and the city centre. For more information on times and fares please visit the Scottish Citylink website. Glasgow Taxis on arrival at the airport – bookings can be made by calling +44 (0) 141 429 7070. Alternatively, Glasgow Airport Taxis are located immediately outside the terminal building or can also be booked by calling +44 (0) 141 889 1813. The airport also has an SPT Travel Desk, located at Domestic Arrivals (Check-in), where staff can provide you with details of buses and taxis. Once in the city centre, the SEC is a five-minute cab or short train ride from Glasgow Central station. (PIK) is 32 miles (51km) southwest of the city. It’s a main base for Ryanair and serves European destinations. (EDI) is 39 miles (63km) from Glasgow and serves most major international airlines. 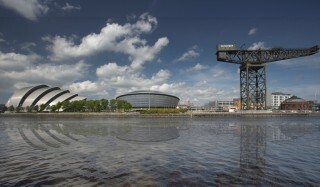 Three pedestrian bridges traverse the River Clyde near the SEC. Bells Bridge and the Millennium Bridge connect the campus to the Science Centre and BBC while, a little further east, the Clyde Arc (affectionately known as the ‘Squinty Bridge’) carries both vehicles and pedestrians. The special discount rates are only available if you make a reservation through this website using the button above. 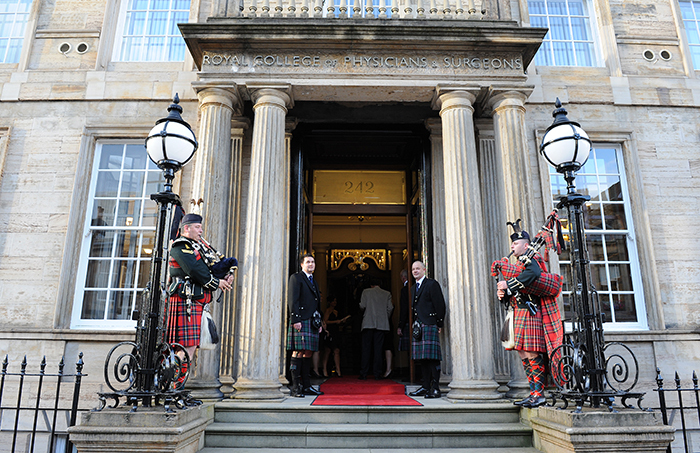 This year’s annual conference dinner will take place at 1599 at The Royal College of Physicians and Surgeons of Glasgow, 232-242 St Vincent Street, Glasgow, G2 5RJ. 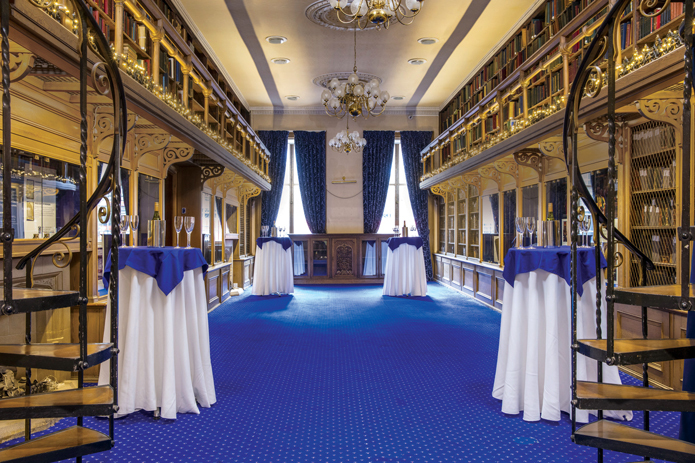 The dinner will take on the Thursday evening of the conference (4th July) with a drinks reception at 19:30 with speeches and dinner from 20:00. Entertainment will be provided throughout the evening. 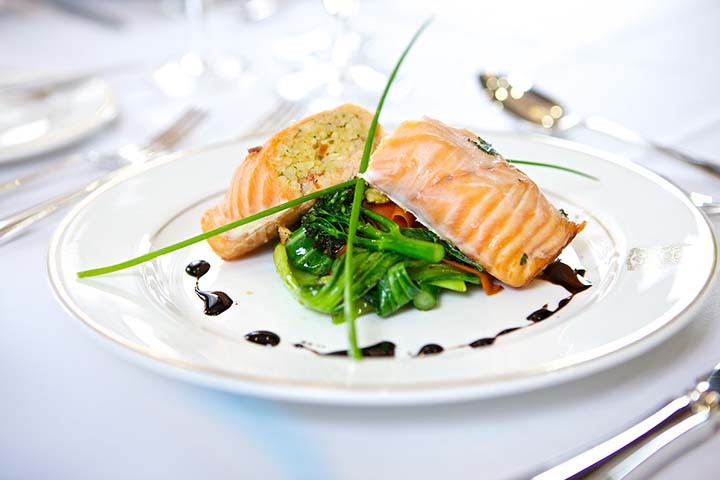 If would you like to attend the conference dinner please choose the dinner attendance option when registering on the ASM 2019 registration form. If you have already registered please email [email protected] for assistance. We would highly recommend staying on after the conference to explore Glasgow and wider Scotland. If you are planning an extended stay the following links and information may be useful. 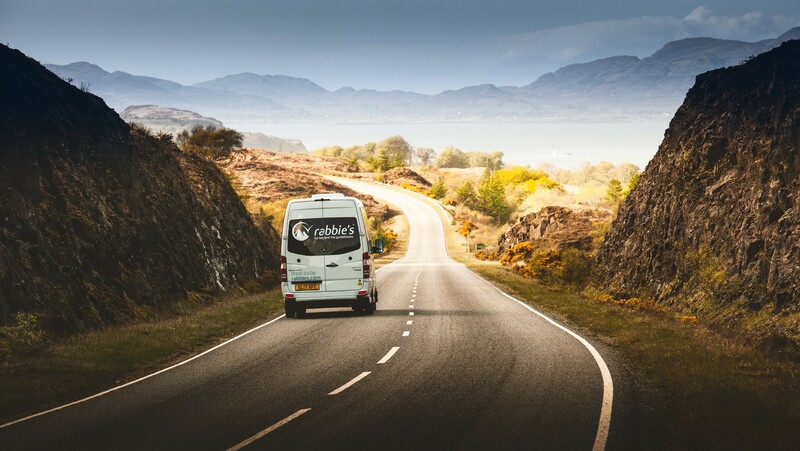 Go beyond the guidebooks with Rabbie's, an award-winning company offering tours in 16 seat mini-coaches! 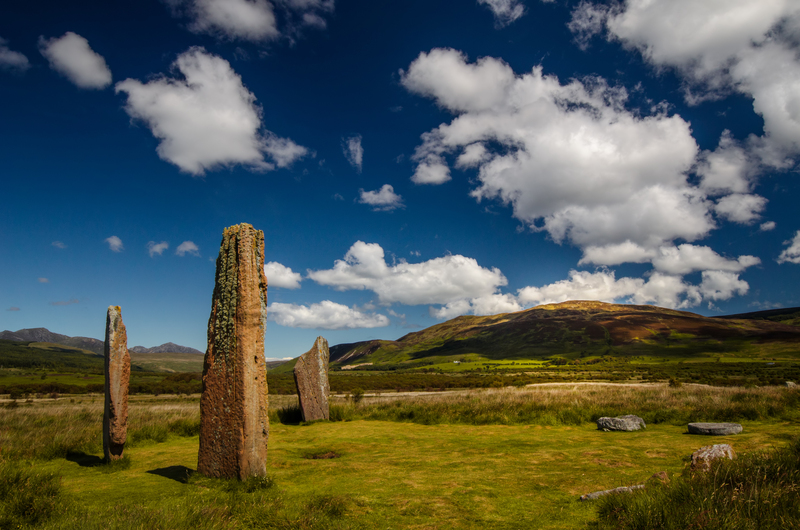 See the Highlands, have some Whisky and enjoy the stories of our driver-guides. 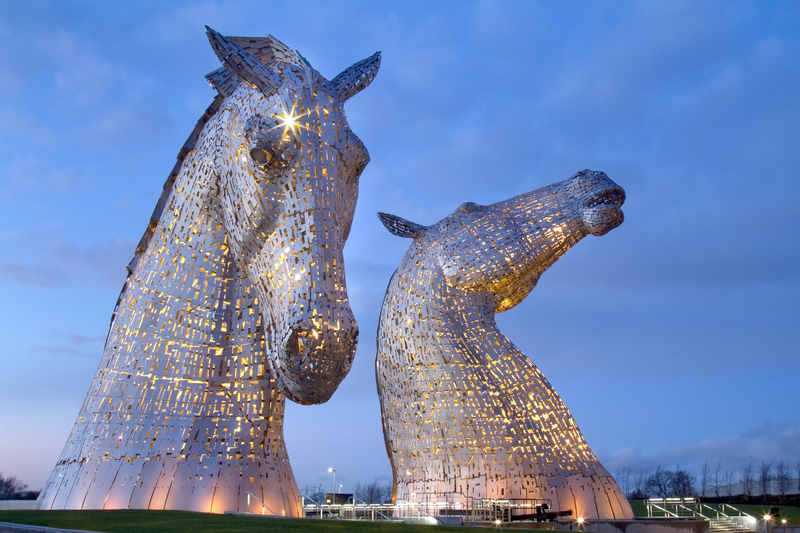 ASME is offering you a 10% discount on all tours departing from Glasgow - so what are you waiting for? Submissions closed at 5pm on Tuesday 15th January 2019. Submitters will be notified of the results via email in due course. You are invited to submit abstracts of papers concerned with research and new concepts in undergraduate, postgraduate and continuing medical and healthcare education, for the Annual Scientific Meeting. One of ASME’s goals is to foster and promote high quality education research and the ASM is an important mechanism in this programme. There are 2 categories of presentation. This section is for new ideas and researchers wishing to have a forum to present their work in parallel session and receive feedback during the session. The standard format will be to allow 10 minutes for presentation and 5 minutes for comments and feedback. This section will be limited both by quality standards, but also time available, and the assessment panel will award the presentation slots to those submissions of the highest quality. 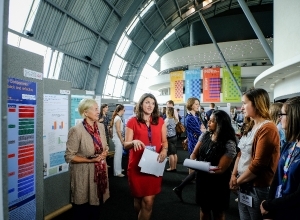 Poster presentations are invited for research and innovations that have not been developed to the completeness required for oral presentation. Presenters of papers accepted as poster are expected to speak about their poster(s) during the programmed chaired poster session. (3 minutes presentation time and 2 minutes for comments and feedback) Where submitters have more than one poster accepted we would advise that either a co-author presents your other paper(s) or you indicate which of your posters you will present in the session. Poster competitions will be held and you will be given the option to indicate whether or not you wish to be included in the competitions. Please note that all TEL posters will be in e-poster format for ASM 2019. If your TEL abstract submission is successful then you will be invited to create your ePoster using the Learning Toolbox platform. You will be able to include links to multimedia and interactive material such as videos, online tools, websites and apps within your ePoster, as well as static file types such as images and PDFs. Your ePoster will be a living resource. 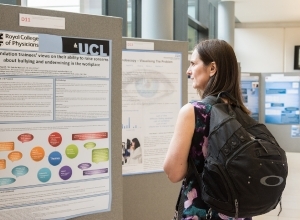 As well as presenting your ePoster at the conference you will also be able to continue to share and update the ePoster after the conference. You can find more information about the Learning Toolbox ePoster platform on their website http://ltb.io/eposters/ Full instructions on format etc. will be sent in due course to all successful applicants. The assessors may consider your paper to be worthy for inclusion in The Educator Development Committee “Innovative, interesting and prize winning work”. This session will be a showcase for innovations in learning and teaching in medical education. If this is the case you will be informed and given the option to accept or not. The details you put on the submission form will be used to create your certificate. No changes can be made once your certificate has been issued. 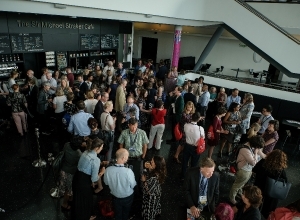 The ASM organising group may vary formats to create themed sessions which will allow for more discussion of papers that address similar issues. Abstracts of all accepted presentations will appear in the conference papers for the ASM on our website in the lead up to the conference and via the conference app. ASM certificates will be provided to delegates within 30 working days from end of conference.